The proportion of university expenditure spent on staff has fallen to just 54.7%, while reserves held by institutions have increased by 259% and capital expenditure by 34.9%. It’s about time money was invested in staff – which will also benefit our students. What is the pay claim? 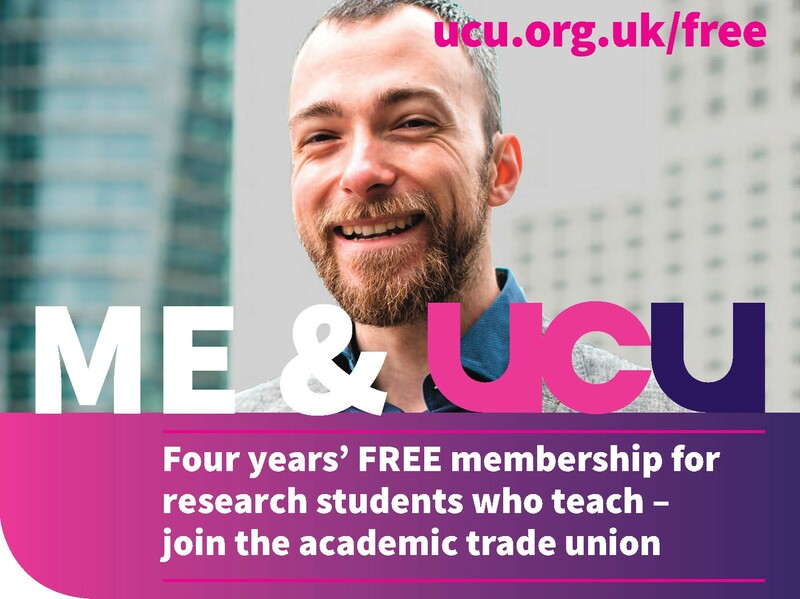 Every year, the trade unions recognised to represent various categories of staff in Higher Education come together to work out if a “joint claim” is possible for negotiating with employers, who are represented in pay negotiations by the Universities and Colleges Employers Association (UCEA). That’s a different body to pension negotiations where we deal with Universities UK (though astute members may notice the membership of both UCEA and UUK can overlap!). UCEA and the trade unions meet at “JNCHES” – the Joint Negotiating Committee for Higher Education Staff. £10 per hour minimum wage with all HEIs to become foundation living wage employers ensuring all campus staff are paid at least the foundation living wage rate. It’s really important to note how united the five unions are about this claim. We believe that meeting these criteria would mean universities begin to meaningfully address a range of issues that to date, they have failed to adequately recognise or to tackle. This is in a context of reduced spending on staff, higher spending on things like new building projects, and concern over the eye watering salaries and pension pots of Vice Chancellors and other senior managers in the sector. What’s this about frameworks for action on precarious contracts and gender pay? 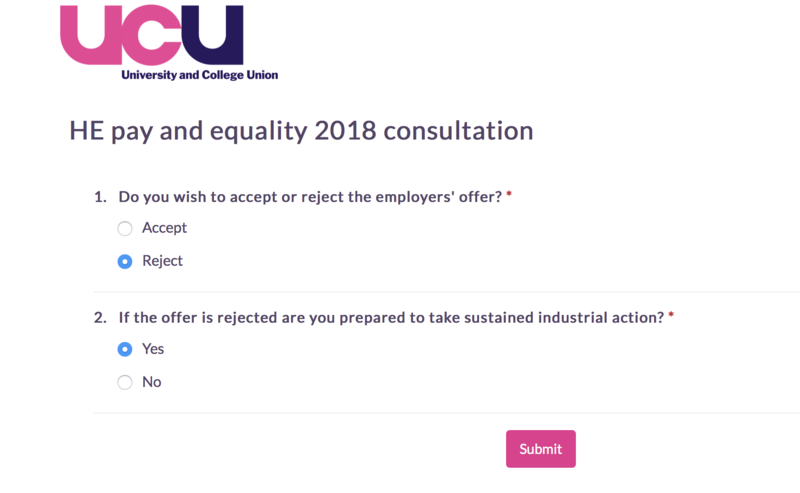 For years, UCU has been at the forefront of pushing for meaningful action from our employers on casualisation. 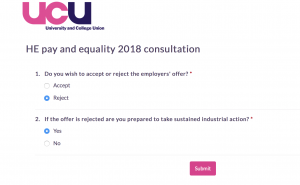 The UCU Anti-Casualisation committee (representing grass-roots members on precarious, casualised contracts) has pressed hard to firmly entrench anti-casualisation objectives into all pay negotiations, recognising also how the effects of casualisation intersect with oppression and pay gaps related to gender, race, disability, and sexual orientation. There is a significant problem here: the employers’ body (UCEA) has repeatedly stated that it has no mandate from its members (employers) to negotiate anything firm to tackle casualisation. Instead, we have been offered “JNCHES working groups” which have been incredibly frustrating exercises for all involved, as the most they have left to are sets of non-enforceable and fairly lukewarm recommendations. We, and the other trade unions alongside us, are fed up with this. We have therefore insisted on the inclusion of a tangible, nationally agreed frameworks in the pay and equality claim, to tackle the scourge of casualisation and gender pay gaps in our sector. Once again, UCEA has only made an offer of limited work on fixed term contracts and variable hours contracts, focusing on data and with no commitment to the action urgently needed to address the growing problems of precarity. The “offer” on gender pay is similarly nondescript with little to no tangible action agreed to address pay gaps. We want to be able to hold our employers to account, so it is essential that we fight for national frameworks in addition to our important local anti-casualisation and gender pay claims at branch level. The lukewarm responses from our employers on these important issues are further reasons to REJECT this pay offer and fight for equality as part of this claim. Should we turn down 2%? What is “catch up and keep up”? We need to think about how much our pay has been eroded over time, and how much it will continue to erode the longer we continue with sub-inflationary pay “offers”. Thus we need to “catch up” on the cumulative loss in our real-terms pay, and make sure that universities “keep up” too. The initial Universities and Colleges Employers Association (UCEA) pay offer was 1.7% (or £350, whichever was greater). This was obviously somewhat below the unions’ pay claim of 7.5% (or £1500, whichever is the greater). 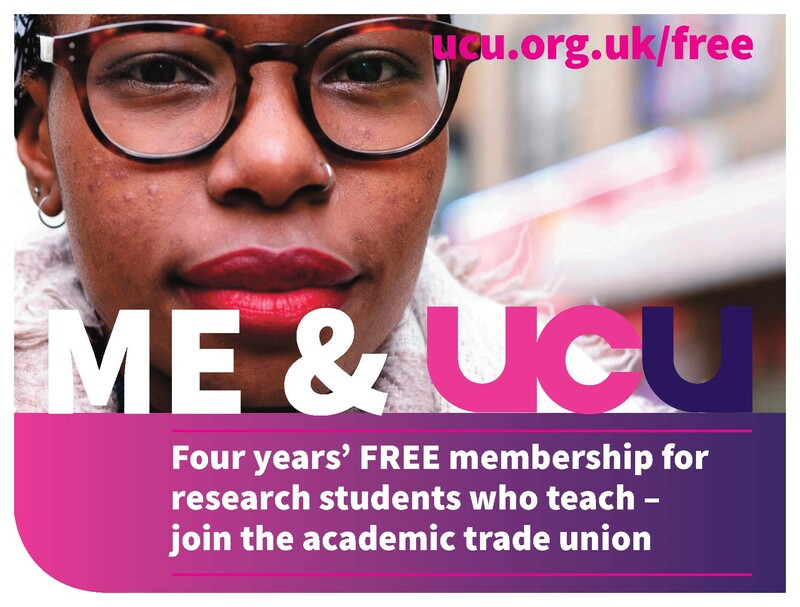 Following the last negotiation meeting at the 10 May, UCEA’s final offer is now 2% for staff on spIne point 16 and above, and £425 for staff on spine point 15 and below. This does not match inflation by any measure. In the context of large surpluses in university bank accounts, and huge spending on building projects, any pay offer that falls short of inflation feels rather insulting. We have already seen employers attempt to characterise their offer as “generous”. 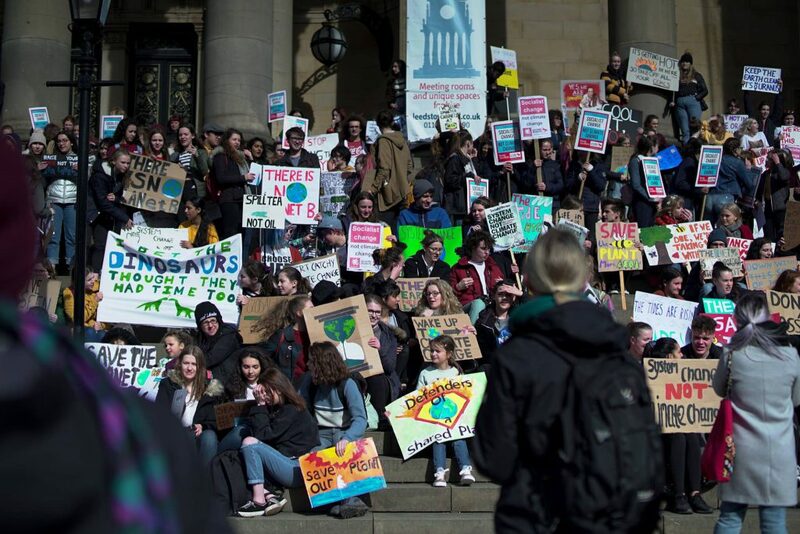 We have seen employers (such as the University of Leeds) conflate the incremental rises that staff who have not yet become “stuck” at the top of a grade receive each year with the idea of a pay rise applied to the scale as a whole. Our pay scale increments are in place to reflect the additional expertise and experience accrued each year by staff on a particular grade: we need to defend our incremental pay spine *and* make sure we are not duped by the notion that their figure should be included in any calculations of pay awards made to the overall scale. We (UCU and the other trade unions) argue that existing salaries should at least be increased in line with inflation. In March, the RPI measure of inflation (traditionally used to examine salary costs) stood at 3.3%. However, in view of the erosion to our pay over the last decade, we also argue that our inflation-adjusted salaries have fallen cumulatively since 2009. Looking at the picture since 2010, UCU has calculated that our salaries have also fallen by an estimated 21% in that period. Therefore the pay and equality claim includes an additional increase to at least begin to recoup this cumulative loss of inflation-adjusted pay. UCEA’s “final” offer of 2% is outrageously low. What about UCEA’s criticism of the unions’ calculations? In 2016, UCEA criticised UCU for using the RPI (Retail Prices Index) measure of inflation, though they were perfectly happy to use it when trying to justify hikes in tuition fees (see [Mike Otsuka’s piece in the Times Higher] for an analysis of this). There are different ways to measure inflation, and when new measures are introduced it is important to track how we make comparisons over time – it’s easiest to understand when we make ‘like for like’ comparisons. The traditional measure when looking at wages is the Retail Prices Index (RPI), which dates back longer, and thus allows us to track changes over longer periods of time. RPI has been traditionally used when comparing wage costs, because it accounts for changes in council tax, rents and mortgages (integral parts of most people’s living costs), which the newer CPI (Consumer Prices Index) doesn’t. CPI is also calculated differently to RPI: the former [is worked out using an arithmetical mean between the old and new prices, but CPI uses a geometric, or ‘weighted’, mean]. A geometric mean is better at taking account of the disproportionate influence that a few outliers might have on the total average – see [here] for further explanation of the difference. CPI does not account for any proportional difference incurred in housing costs such as council tax, mortgage rates, or insurance – it uses rent prices as a proxy measure. However RPI does include housing costs including mortgage payments, rent, and council tax. [CPIH] (CPI-with-H-for-Housing) which adjusts to reflect changes in average residential rents and council tax, though not changes in house prices. [RPIJ] (RPI-Jevons formula, using a geometric, or weighted mean) and is adjusted to take account of changes in housing costs, but using a geometric mean based formula. It is not in widespread use. So, is the pay offer still bad when using other measures of inflation? Yes! This is why UCU recommends members rejects the current pay offer from UCEA. Even if we were to use alternative measures of inflation, the current offer from UCEA falls well short of matching inflation, and further short of addressing the erosion of pay over the last ten years. Whichever inflation measure we use, we still see a cumulative loss in income continue if we accept the current offer. To take home pay in 2018-19 with the same real-terms value as in 2008, our pay would need to increase by 7.8%. Anyone looking at the numbers ought also to bear in mind the risk of elevated pension contributions in the future which will also see a loss in take-home pay for many. Workload is part of the pay claim because we are working harder and longer hours, which means our average hourly pay is effectively falling even faster than our annual pay rate. 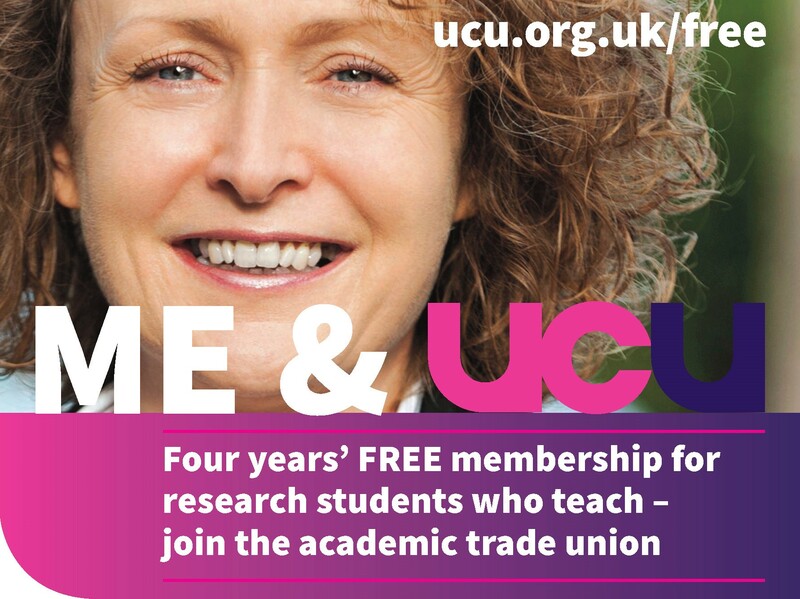 We know workload is a huge problem across the sector; UCU campaigns about this at a local and national level. We are not always taken seriously by our employers, and we all-too-often hear attempts to “explain away” or even justify workloads which make people ill, as if they are merely a “character trait” of the person affected by the stress they cause. 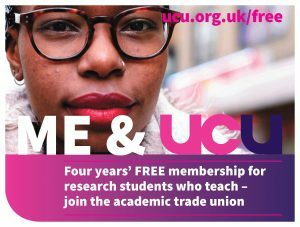 A UCU survey conducted in 2016, [Workload is an Education Issue], found that the average academic is working unpaid for the equivalent of two days every week. Women academics have also been held back by typically greater administrative loads than their male colleagues as reported [here], which is likely to factor further into the gender pay gap. Think of the amount of unpaid hours we know staff typically undertake in higher education – time which is more likely to go unpaid for those on casualised, especially hourly paid contracts (especially those with “rolled up” rates for administration and marking, or even rolled up holiday pay). This situation is not ok, it is not safe, and it is therefore this is part of the national pay and equality claim. However, the offer received from our employers does not involve any action to deal with excessive workloads, to compensate members for excessive hours worked or to address the contribution of ridiculous workloads to further declines in rates for the job. It certainly does not take account of the countless unpaid hours contributed to universities by hourly paid and many part-time staff. Turn out matters! Please VOTE! The internal consultative e-ballot closes on 27 June. A strong turnout is needed in both any internal consultative ballot and any official ballot – strong results for both of these do strengthen the hand of negotiators.